A local SEO strategy is based around content and pages on your website that attracts a local audience, creating local and social profiles, plus submitting to directory sites and data aggregators. These efforts lead online searchers (either on mobile or PCs) to your local business’s brick-and-mortar location or your website. While most business owners know the keywords they need to include in their website content to rank in local search results, they don’t realize that the technical side of their website is also a very important part of their SEO strategy. Often referred to as technical SEO, the technical aspects of a website are quite important and greatly impact a business’s local SEO efforts. The vast majority of consumers are looking for your products, services and business locations using mobile devices. If that wasn’t reason enough to optimize your website for mobile, Google’s algorithm can and will bump non-mobile websites from mobile search. Make sure the pages, images and videos on your website are optimized for desktop and mobile search. Simple is better when it comes to mobile optimization. Consumers don’t want to wade through video after video to get to what they are looking for when they are on a mobile device. There are many free tools that can make your work easier, like Google Webmaster Tools and Google Analytics. LocalSiteSubmit.com has some great free tools that can help you as well. 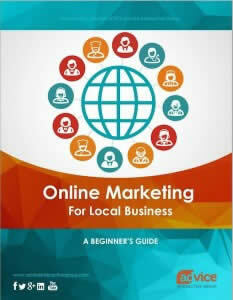 There is a lot more to SEO and local SEO specifically then what I mentioned above, but start here and keep reading. Do you have any technical or local SEO tips that have been working for you? Comment below. Let’s discuss.